Home Social Media HEATED DEBATE: Would You Use Online Banking On Facebook? Facebook is now starting to support new services for banks that allow them to interact with their customers. Which leads to the question, are you willing to manage your finances via Facebook? There are a lot of things you can do on Facebook. You can post and share vacation photos, party photos and you can even say “what’s on your mind”. Sooner or later however, you will be paying your utility bills, transfer money and other possible financial transactions. This certainly opens up a whole new meaning to social media banking. Even with the prevalence of social media networks there is little room for privacy anymore. But there are still some things that a lot of people want to keep things to their own and one of it is banking and finances. One of the banking projects that the social media giant is quietly pursuing is with Australia’s Commonwealth Bank. It is still in the internal beta stage that started in March and the full application that can be accessed by customers planned to be launched later this year. 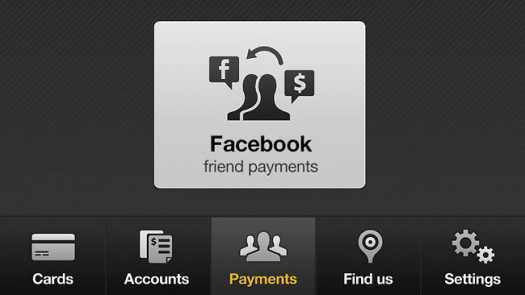 The application will allow customers of the bank to make payments to third party vendors and to Facebook friends. Commonwealth will secure all the transactions using its own authentication system, similar to what it uses for its online and mobile banking website. The problem is that bank customers don’t normally want to share their financial information on their timelines and many would be hesitant to use a banking app until they fully ensure that their banking activities will be kept private. You can also watch this video discussion about Facebook and banking. Given that these banking apps are going to be secure and private, are you still willing to transact with your bank or other parties via Facebook? Despite its potentially lower level of security? Or would you still be more comfortable doing that using your bank’s own online banking and mobile banking platform?